This would change your community. Seriously. | Be Nice. This would change your community. Seriously. Listening to PBS NewsHour today as my fingers drummed mindlessly away at my work keyboard, I came upon a most wonderful idea and I wanted to share it with you. This is the kind of thing that could work in any community, anywhere in the country. It would help people keep their professional skills honed while unemployed, and help individuals keep their homes and lifestyles maintained and enriched. 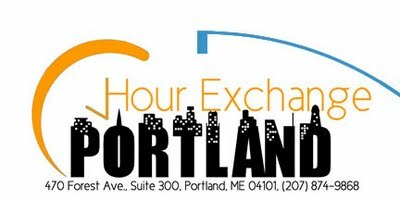 The PBS feature “In Maine, service time swapped to help stretch dollars in recession” details a project called “Hour Exchange Portland,” founded by an actual Rockefeller–Richard Rockefeller. Here’s how this thing works: you first make a deposit in the form of your time — donating your skills to someone else. For each hour of your time you volunteer, you earn a “time dollar.” You can spend these dollars when you want by asking for services offered from other members of the program (there are around 600 currently in Portland). By doing this act of “generosity,” people get their leaky faucets fixed, their mufflers attached, their doctors visited. Pretty simple, definitely straightforward. And those are always the best ideas (look at the Post-It). Amazing, right?! How much better off would we all be to have this in our communities? I encourage you to check out the newscast video (just 7 minutes), and share this with your friends and relatives! (There are “share” functions at the bottom of the post.) Start one of these in your town! We could change the world, our society, and our economy and get back the same that we give and it could be SO easy! This entry was posted in Amicable Allegories, At Appointments, At events/lectures/performances, At the Store, At Work, In Buildings, In Traffic, More ideas from Be Nice., Nice Notions, Nice Reading Material, Perspectives on Be Nice., To Yourself, With Others and tagged Fixing the Future, Hour Exchange Portland, Maine, NewsHour, PBS, Portland, Richard Rockefeller by Jen. Bookmark the permalink.